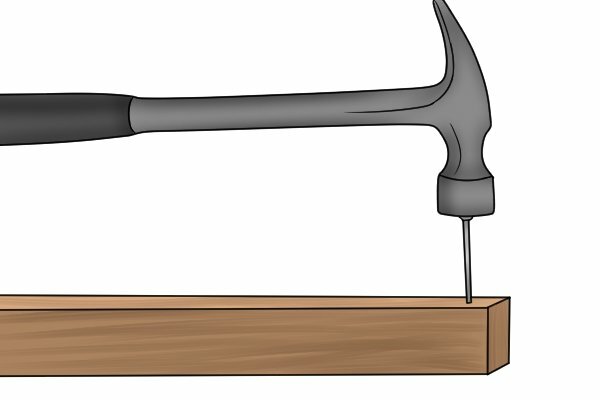 What is a brad point bit? 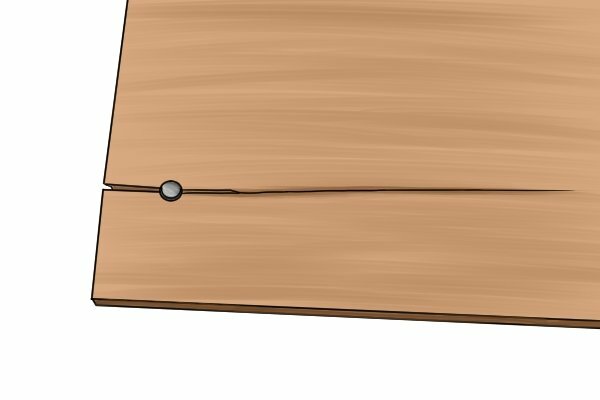 What is a brad point bit used for? What are the parts of a brad point bit? How does a brad point bit work? What are the different types of brad point bit? How are brad point bits manufactured? What are brad point bits made of? What are brad point bits coated with? What sizes of brad point bit are available? Why would you choose a brad point bit over other drill bits? 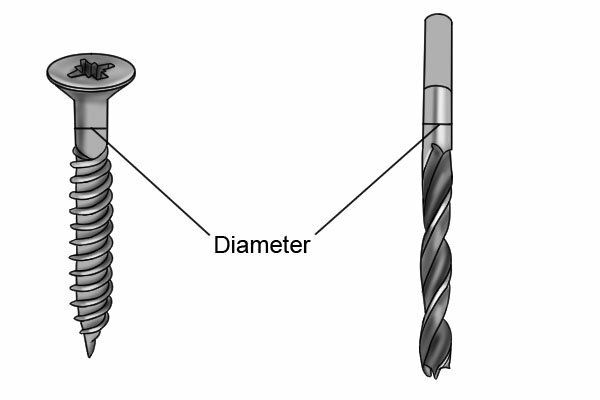 Screws and nails are commonly used to join two pieces of wood together. 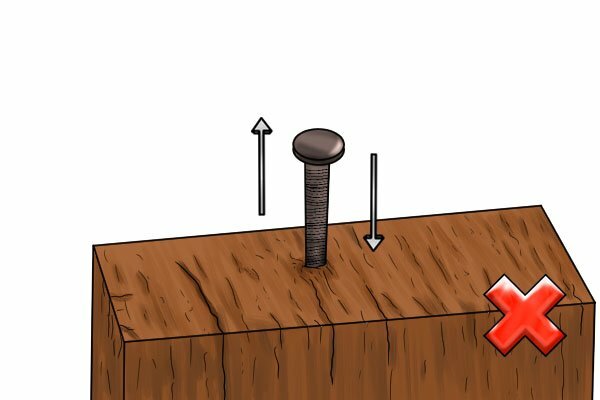 Unfortunately, hammering in a nail or driving in a screw near to the end of a piece of timber can force apart the wood fibres and make it split, more than likely ruining part of a project in the process. 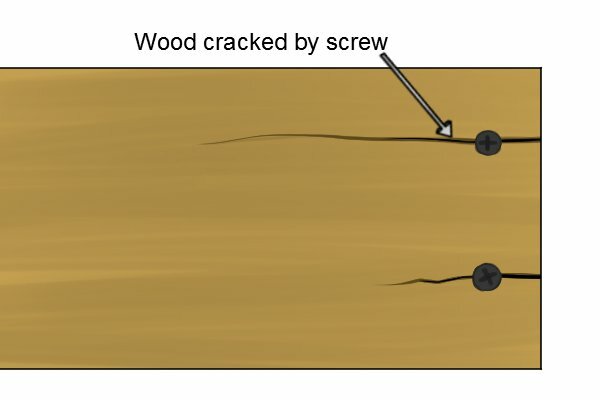 To avoid this risk, it's best to minimise the amount of pressure on the wood by pre-drilling a hole that is almost as wide as the shank of the screw or nail you will be using in either piece of wood where the screw or nail hole will be near to the edge. If you use too large a drill bit, your screw or nail will slide in and out of the hole, which will be no good for holding anything in place! Too narrow a bit will mean that the problem isn't solved, and the wood will still split. 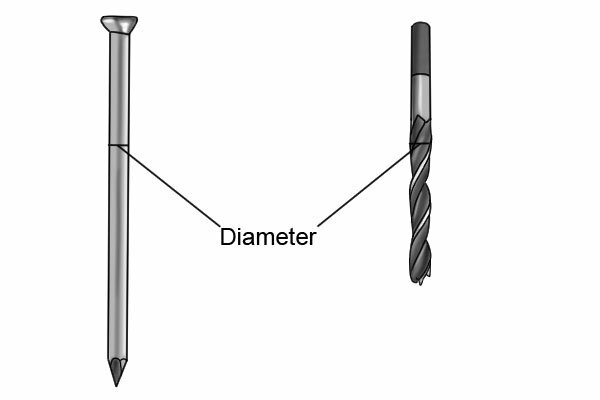 You can find the right size drill bit by eye, by comparing the shank of the nail (the part that doesn't taper, below the head) to the twisted part of your brad point bit. You're looking for a bit that is very slightly smaller in diameter than your nail's shank. The same is true for finding the right sized bit for a screw hole. The screw's shank is the part located between the head and the thread. 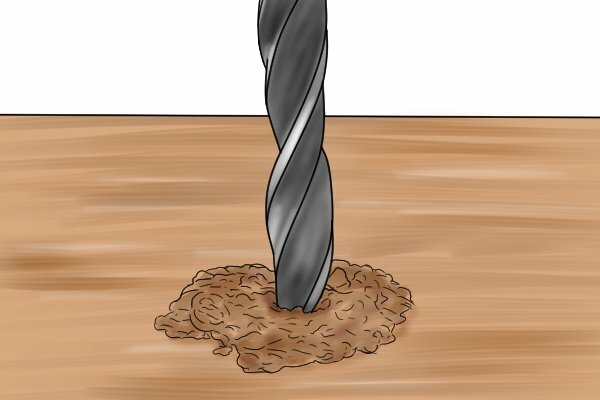 If you're worried that you won't be able to judge your drill bit size accurately by eye, you can always test the process on a piece of scrap wood with a spare screw or nail. You can also check the size of your nails or screws following the steps below. 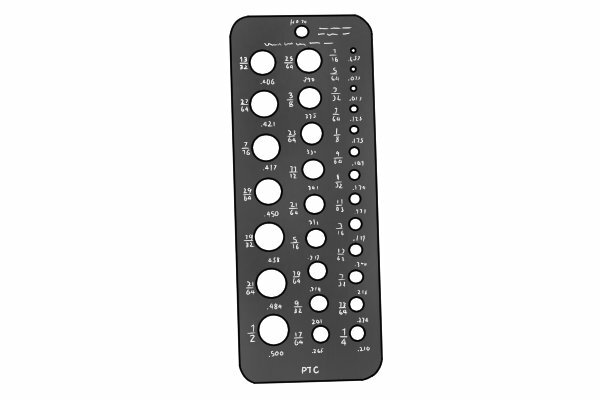 You can use a drill gauge card to check the diameter of a nail by locating the hole on the card that the nail fits into snugly. The diameter of this hole will be indicated on the card - these tools are designed to measure the diameter of drill bits and nails. Locate the next smallest hole on the card. This is the size of drill bit that you should use. 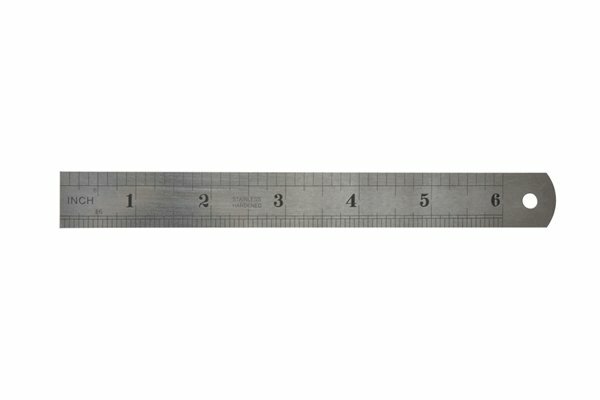 If you want to more accurately determine the size of a screw's shank, you can always measure its diameter yourself with a steel rule or, for maximum accuracy, a set of calipers. A woodworking project is unlikely to require this level of precision, though, so don't worry about trying to get too many decimal places into your measurements! 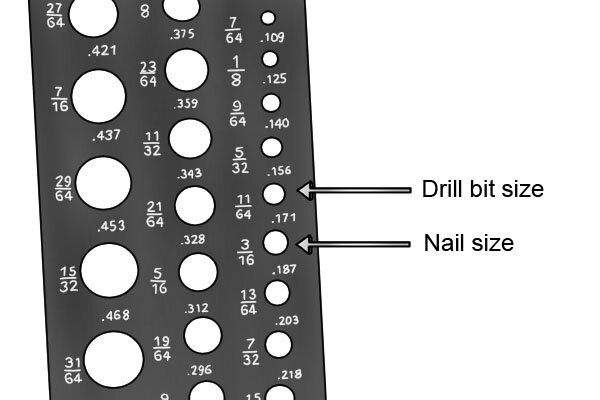 Once you have chosen your drill bit, drill your hole and then insert your screw or nail. 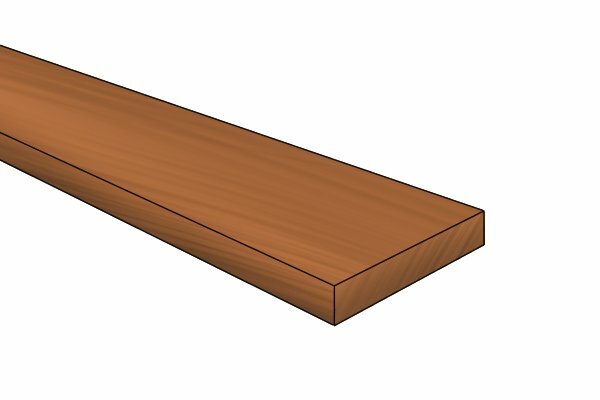 The wood should not split, leaving you with a sturdy joint.